Can't find something at Walmart? Maybe ask a drone? 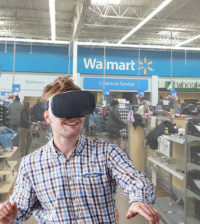 Home > Bens Bytes > Can’t find something at Walmart? Maybe ask a drone? Can’t find something at Walmart? Maybe ask a drone? 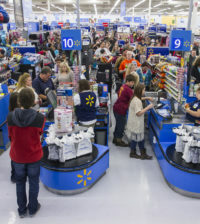 Earlier this week, Walmart filed a number of new patents. One of the most interesting patents is an in-store drone system that answers questions about pricing as well as offers navigation instructions. For example, someone that needs assistance in Walmart would likely press a button mounted in the store. A drone would be dispatched to that location, offer assistance and then return to its charging station. 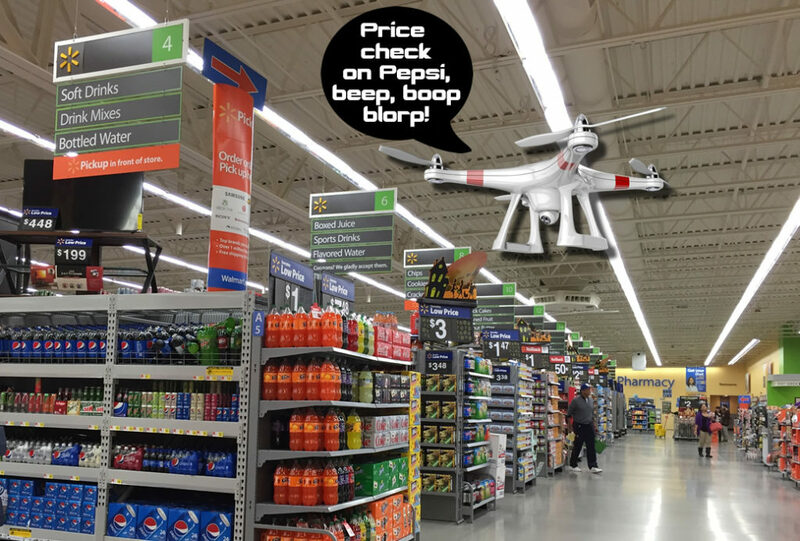 The patent also outlines programming that removes the possibility of collision assuming multiple drones are buzzing around the store. It’s unclear if answers will be automated via voice recognition software (like Alexa or Siri) or if there will be a real world person on the other end responding to questions. It also unclear if employees would be able to take manual control of the drone if automated programming fails. 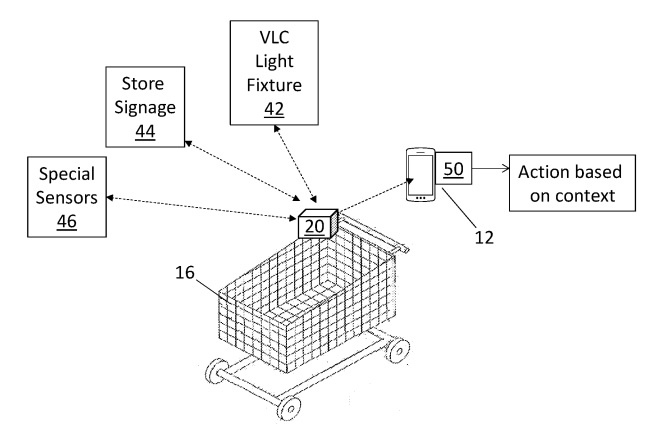 Besides the drone concept, Walmart also filed a patent for smart shopping carts. 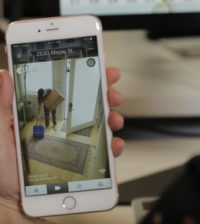 Utilizing wearables and location tech, the smart cart would be able to sense the items being placed in the cart and likely keep a running total of items being purchased. Conceptually similar to Amazon Go, the customer would likely just be able to walk out of the store without seeing a cashier, assuming mobile payments have been setup via a smartphone. Of course, neither of these patents may come to fruition in stores. 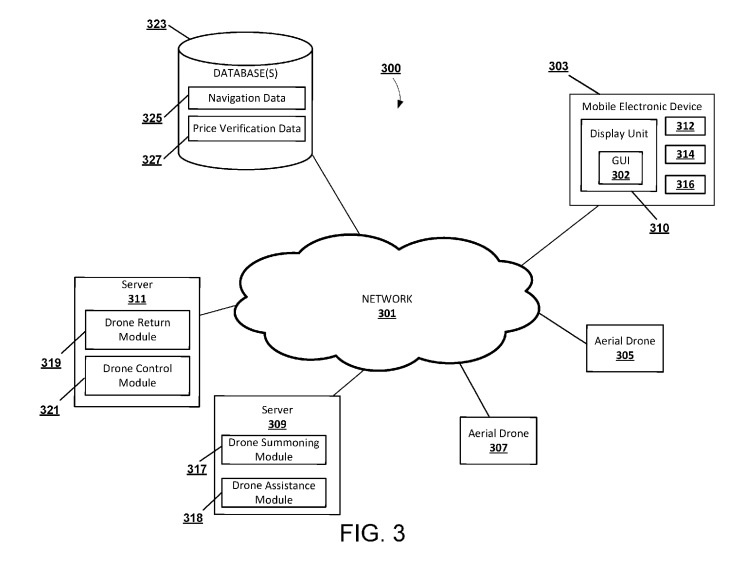 Many of these patents, like Amazon’s floating warehouses with drones, may just just end up being interesting ideas rather than actual real-world applications. However, if concepts like Amazon Go become popular, retailers like Walmart and Target will likely move quicker to respond with similar options.